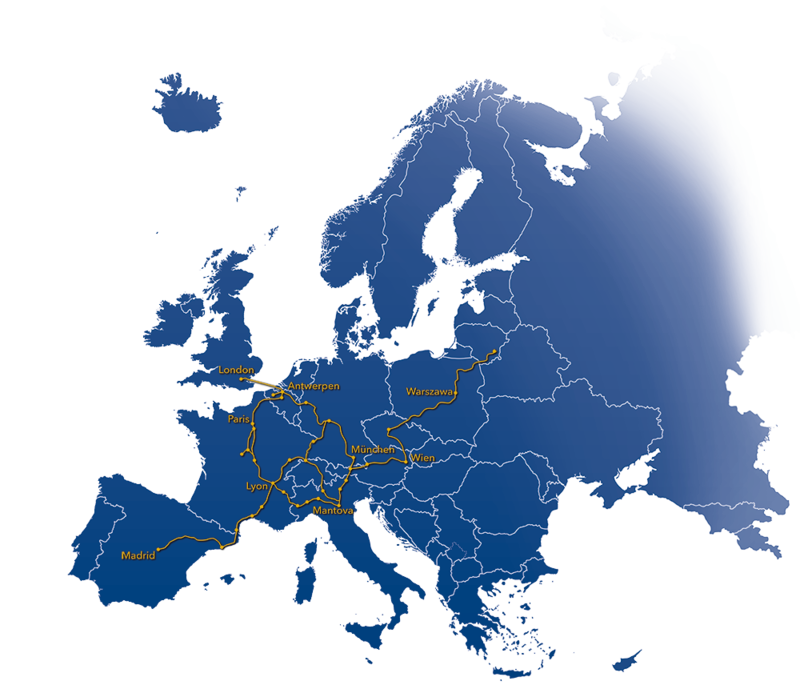 Europe is a continent of many countries and therefore of many borders. Fortunately, with the E.U. 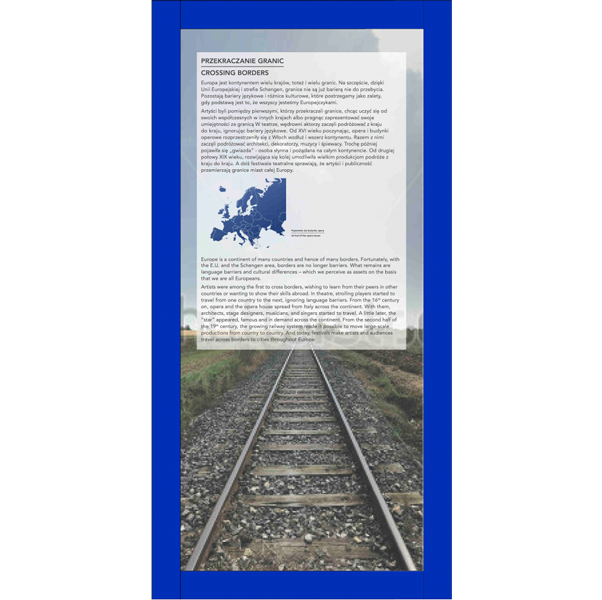 and the Schengen area, borders are no longer barriers. What remains are language barriers and cultural differences – which we perceive as assets on the basis that we are all Europeans. Artists were among the first to cross borders, wishing to learn from their peers in other countries or wanting to show their skills abroad. In theatre, strolling players started to travel from one country to the next, ignoring language barriers. From the 16th century on, opera and the opera house spread from Italy across the continent. With them, architects, stage designers, musicians, and singers started to travel. A little later, the “star” appeared, famous and in demand across the continent. From the second half of the 19th century, the growing railway system made it possible to move large-scale productions from country to country. And today, festivals make artists and audiences travel across borders to cities throughout Europe. Located between Vienna and Venice, Ljubljana was regularly visited by theatre families, both comedy groups and exceptionally popular opera groups (from Italy) and the successors of the Commedia dell’arte. 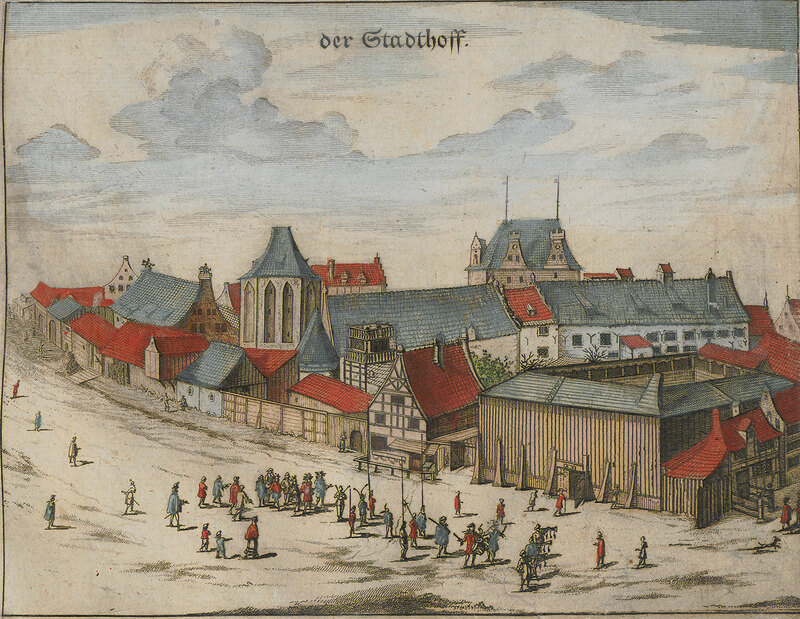 In 1653, the first German theatre group visited Ljubljana. 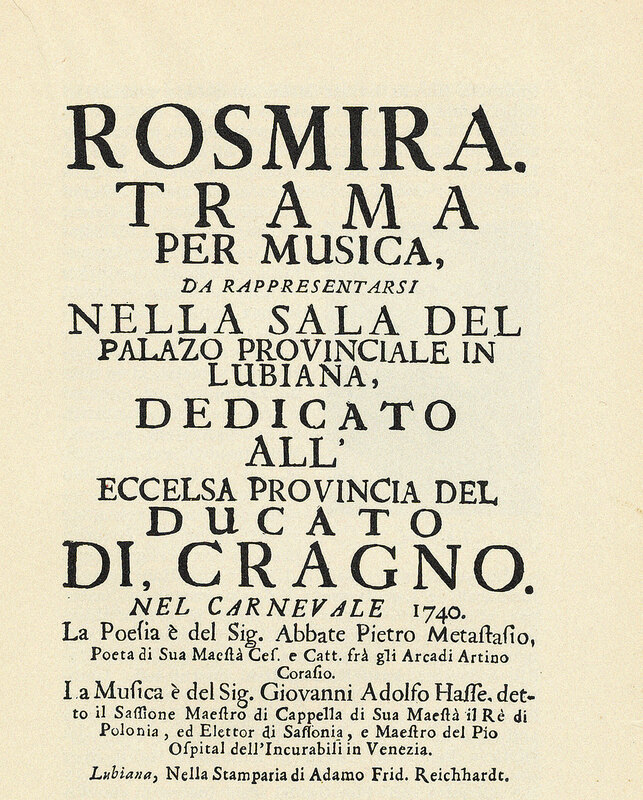 During Carnival 1740, the celebrated theatre family of Angelo Mingotti made a guest appearance in Ljubljana, performing various operas in the hall of the Provincial Palace, among them “Rosmira”, “Artaserse” and “Demetrio”. The first known private opera performance in Ljubljana was staged in 1660 in the garden of the Auersperg family, the first public performance took place in the town hall (1709). Later, theatre performances were also staged in the palace belonging to the deputy of the vice-regent. 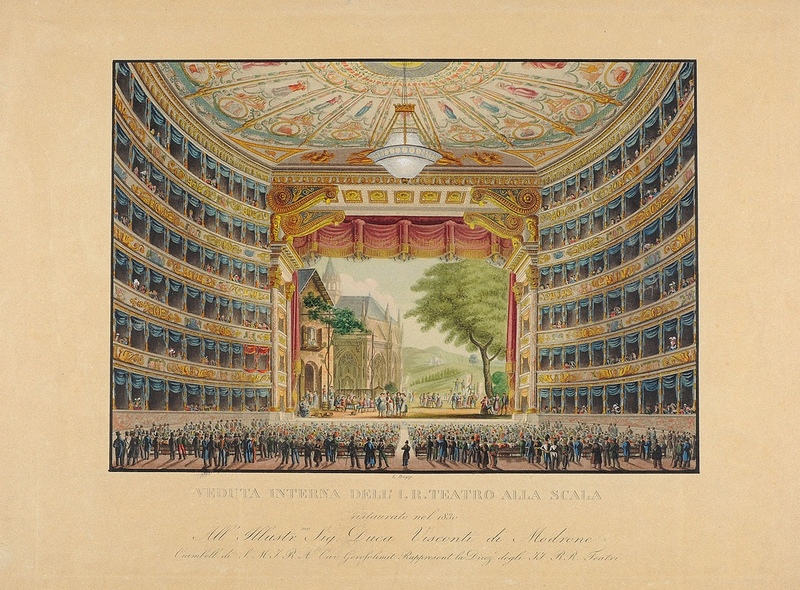 After the construction of the Estates Theatre (1765), performances of Italian operas, as well as plays, became more frequent. 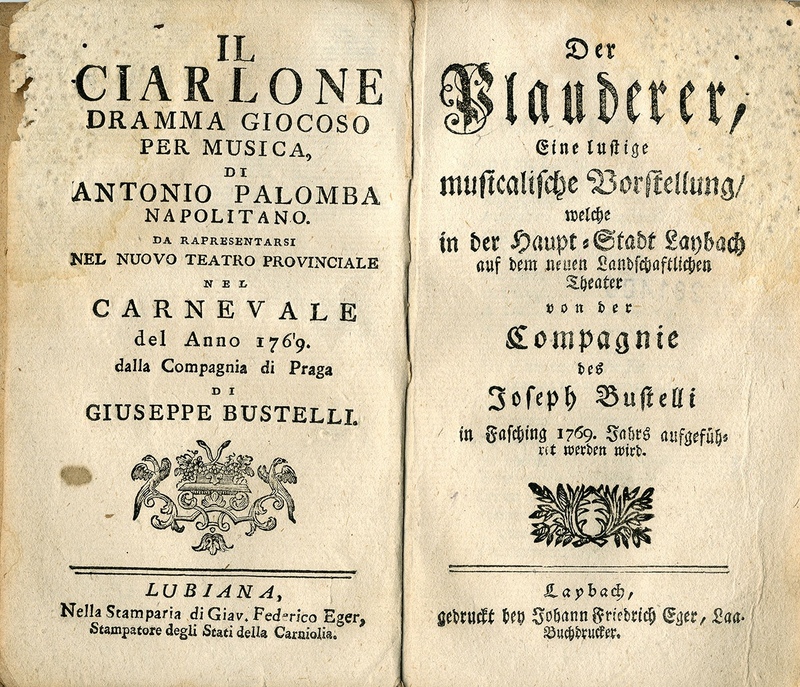 The company of Giuseppe Bustelli, stationed in Prague at the time, performed four comic operas in the new theatre in 1769, among them “Il Ciarlone” (The Tattler). The libretto, which spectators could read during the performance, gives the original Italian verses and a German translation in prose. This is one of the rare images of strolling players, probably showing the company of Lorenzo Lorenzoni. 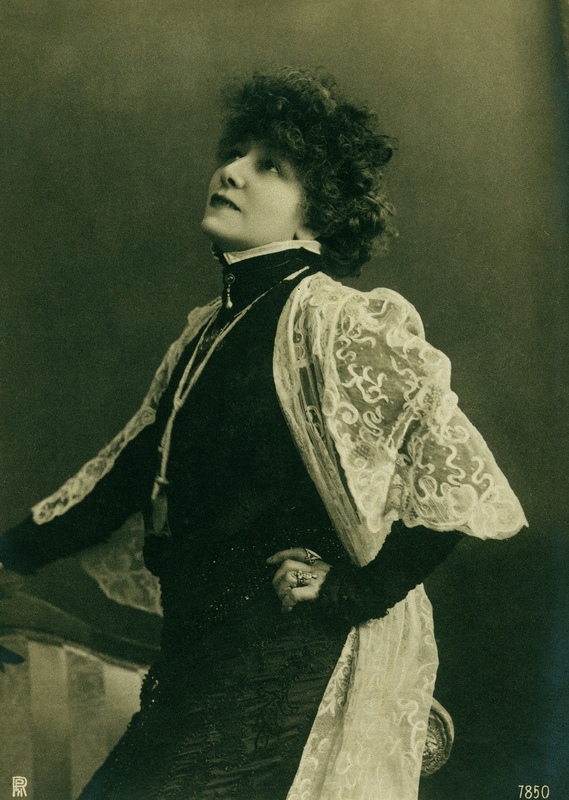 Fanny Elssler was the first European star who was successful also in North America. 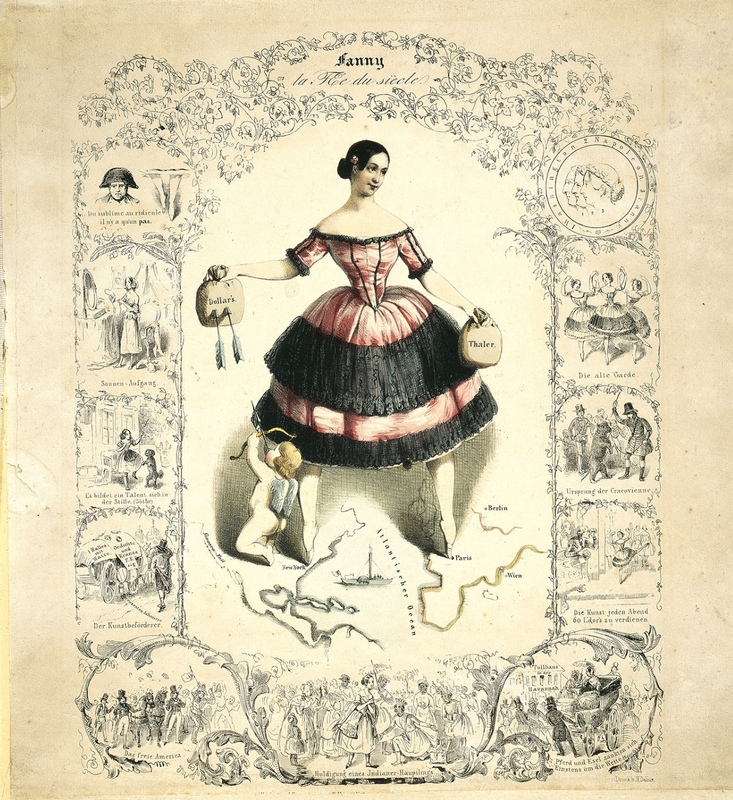 This caricature shows Fanny Elssler with one foot staying in Europe (earning Thalers) and the other foot staying in America (earning dollars). The Austrian architects Ferdinand Fellner and Hermann Helmer launched their studio in 1873. Until Fellner’s death, they designed over 200 buildings across Europe. They became especially famous for their theatres and concert halls, of which they built about 50. Most of them are located in countries of the former Austro-Hungarian Empire, but also in Germany and Switzerland. 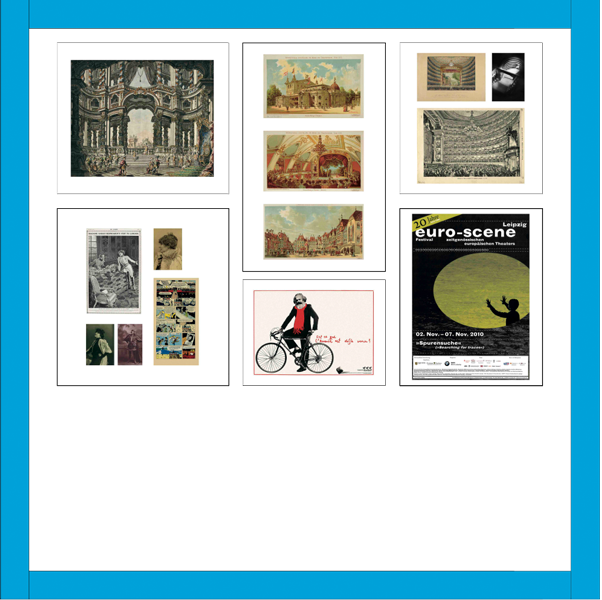 We decided to present Fellner & Helmer theatres by this series of used and sent postcards to show how popular they have been, and how not only the theatres spread all over Europe, but the images of them spread all over the world, too. 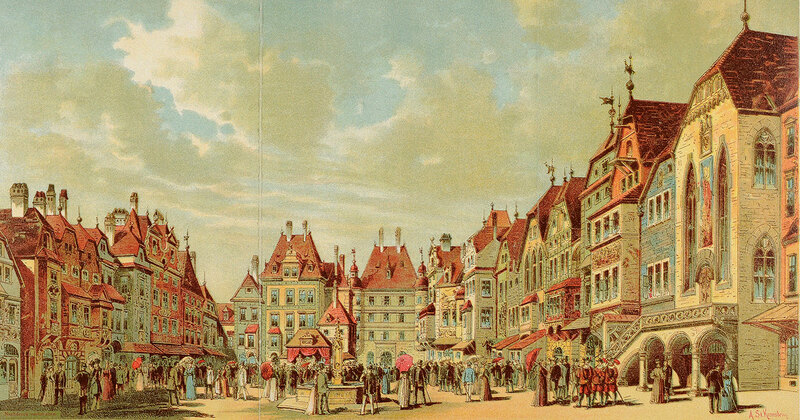 The first to cross borders were strolling players who set up stage in market squares, as in the painting by Joseph Stephan, depicting French actors performing in Munich, around 1780. They would also perform in town halls, as an Italian opera troupe did in Ljubljana in 1740 (“Rosmira”). Ljubljana opened its first theatre in 1765, and from then on, visiting opera troupes performed there (“Il Ciarlone”, 1769). Once public theatre buildings had sprung up everywhere, the international star appeared and quickly performed also outside Europe, e.g. in America, like the dancer Fanny Elßler (1810–1884). But not only stars, troupes and plays were crossing borders: in Gdansk, Poland, a theatre was modelled on the Shakespeare stage in 1610, and the Italian opera house was copied everywhere. 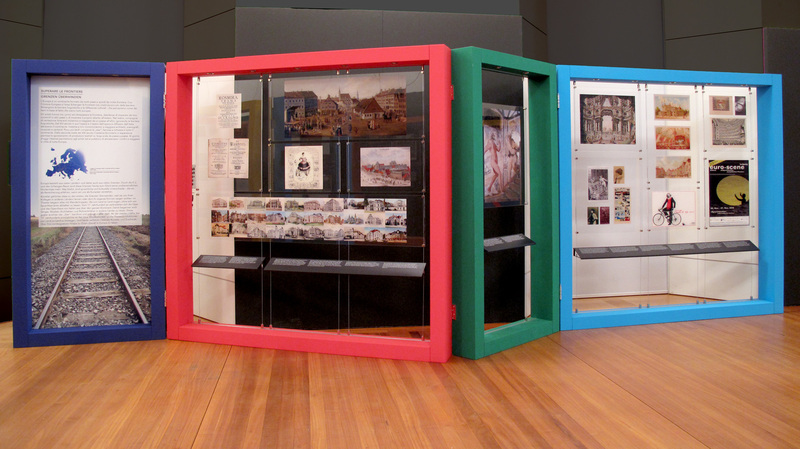 Architects, too, exported their vision of a theatre building across borders. A series of postcards depicts theatres built by the famous Viennese team of architects, Fellner & Helmer, between 1873 and 1913 in today’s Austria, Germany, Poland, the Czech Republic, Slovakia, Hungary, Slovenia, Croatia, Romania, and Bulgaria. The very earliest image of Commedia dell’arte is in Trausnitz Castle, Landshut, Germany showing Pantalone followed by Zanni. Part of a mural painting at Trausnitz Castle, Landshut, Germany, designed by Friedrich Sustris and painted by Alessandro Padovano 1575–1579. 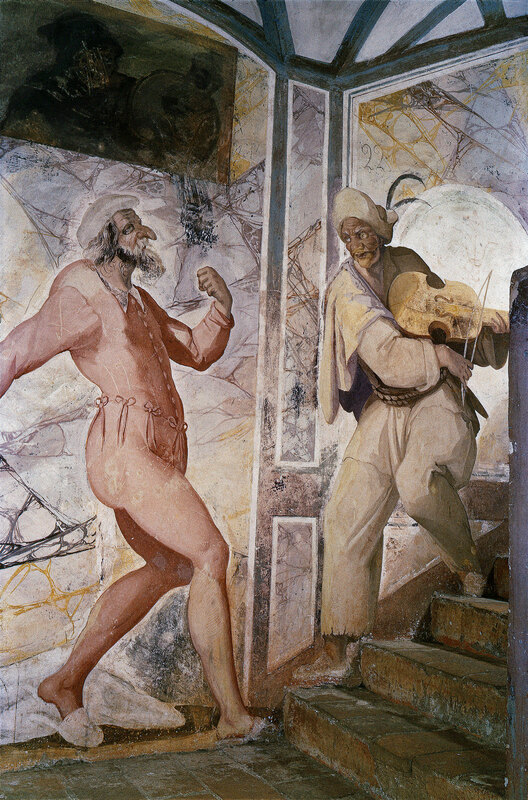 The fresco, called “Stairs of Fools”, covers an entire staircase and depicts characters of the Italian Commedia dell’arte. It is the oldest pictorial evidence of this theatre form. Italian Commedia dell’arte companies travelled all over Europe until the end of the 18th century. This very beautiful work by one of the famous Galli Bibiena family of stage designers and theatre architects, working in several European countries, sketches the stage design for Scene I/5 of “Didone abbandonata”, opera composed by Johann Adolph Hasse; it is dated 29 December 1752. At that time, the artist worked for the Prussian court opera in Berlin, Germany. “The Sphere” was a weekly illustrated newspaper published in London between 1900 and 1904, covering international events such as the Boer War, and general interest features. The V&A collections hold several example of Fortunino Matania’s coverage of fashionable theatre shows from the 1910’s, including this report of Sarah Bernhardt’s visit in 1910. 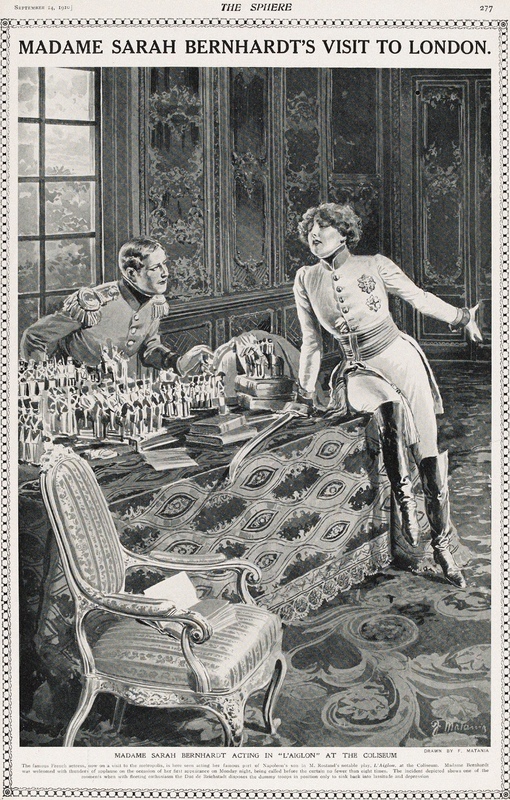 Bernhardt had followed Comédie Française success to reach the level of international star, touring the world with her own company and sometimes interpreting male roles, including Hamlet, which would inspire Edmond Rostand for his play “L’Aiglon” shown here. She presented it at the Coliseum, London, on 24th September 1910. Nadar took many famous photographs of Sarah Bernhardt. 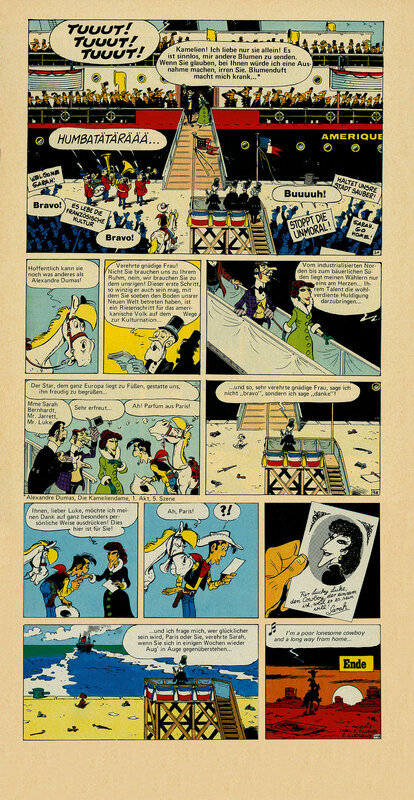 The picture displayed is related to the Lucky Luke Comic. 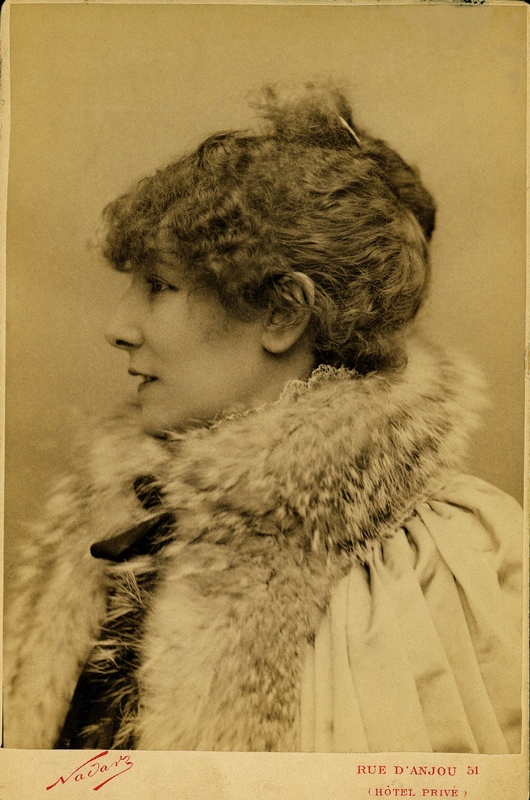 Sarah Bernhardt can be considered as the first international star, quitting the Comédie Française in 1880 to tour the world in triumph until 1917. This exhibit is a “carte de visite”, a novel and exciting way for actresses and actors to advertise themselves thanks to the development of photography. 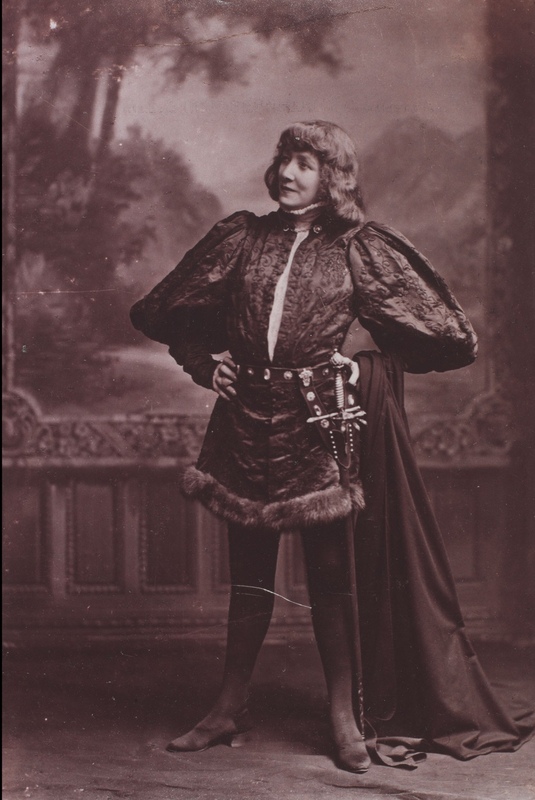 Here Bernhardt is dressed as Hamlet, her first really controversial role which she staged at the Théâtre des Champs Elysées, Paris, in 1899 and then toured throughout the world. The new translation and her performance of Shakespeare’s play inflamed passions of contemporary spectators, engendering both negative opinions about a woman playing a man (although this was not unusual for the role of Hamlet, or young men generally), as well as the most flattering surname “La Divine”. Volume 50 (in German vol. 35) of the Franco-Belgian serial comic “Lucky Luke” is entitled “Sarah Bernhardt”, referring to the famous actress’ tours in America in the 19th century. The second half of the 19th century was the time of the big industry fairs and the universal exhibitions, where international visitors came together to see the newest technological achievements, the most beautiful art works and the most exotic cultural artefacts. The city of Vienna decided to use the ground and the buildings set up for the Word Exhibition in Vienna in 1873 again for an exhibition especially on music and theatre: the International Exhibition on Music and Theatre in 1892. 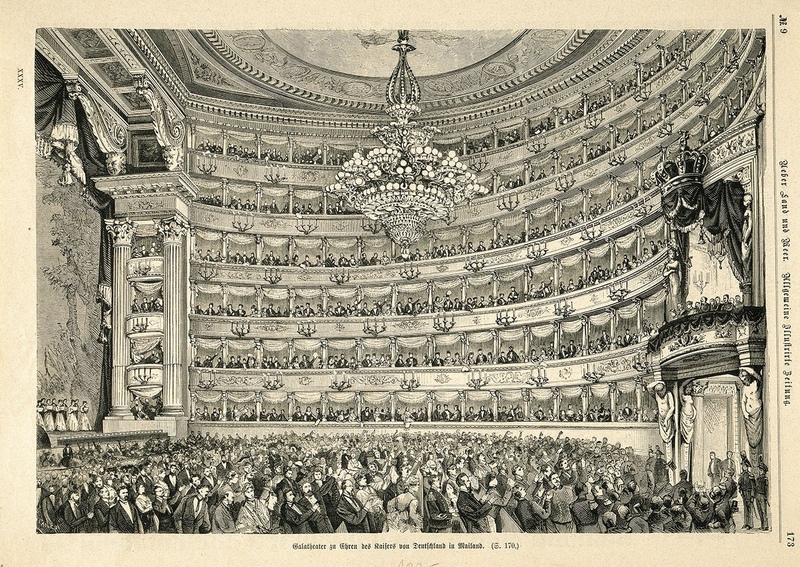 For this event an exhibition theatre was built by the architects Ferdinand Fellner and Hermann Helmer, where theatre ensembles from all over Europe showed their productions. The second half of the 19th century was the time of the big industry fairs and the universal exhibitions, where international visitors came together to see the newest technological achievements, the most beautiful art works and the most exotic cultural artefacts. The city of Vienna decided to use the ground and the buildings set up for the Word Exhibition in Vienna in 1873 again for an exhibition especially on music and theatre: the International Exhibition on Music and Theatre in 1892. 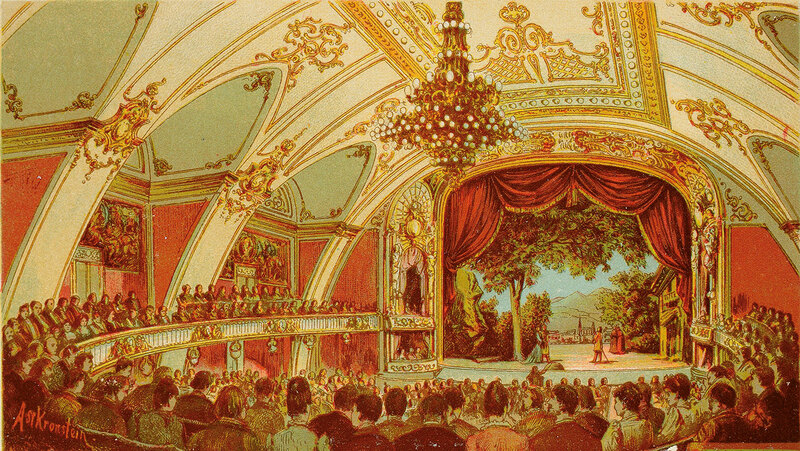 For this event an exhibition theatre was built by the architects Ferdinand Fellner and Hermann Helmer where theatre ensembles from all over Europe showed their productions. 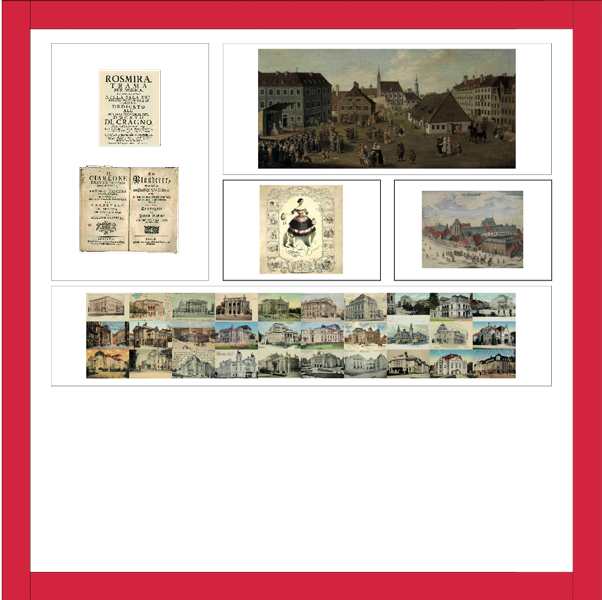 For further entertainment of the visitors, a 17th /18th century Viennese marketplace, called “Old Vienna”, was reconstructed. A famous poster with an image of Marx as biker and a provocative handwritten text by Dušan Jovanović was exhibited on a large scale in an Italian stadium, as part of Festa dell'Unità, and accompanied the theatre's tour of France, raising interest due to its arrival in the West from a socialist country and appropriately stating the theatrical truth of the Mladinsko Theatre. The Teatro alla Scala in Milan is one of the most popular opera houses in the world. It was designed by the Italian architect Giuseppe Piermarini and opened in 1778 with the first performance of “Europa riconosciuta” by Antonio Salieri. The building represents the classical prototype of an Italian opera house and served as model for successive buildings all over Europe, while opera as the most popular theatrical genre spread all over Europe, too. The Teatro alla Scala, opened in 1778, is the prototype of a theatre designed for opera productions. It served as a model for theatre buildings all over Europe. 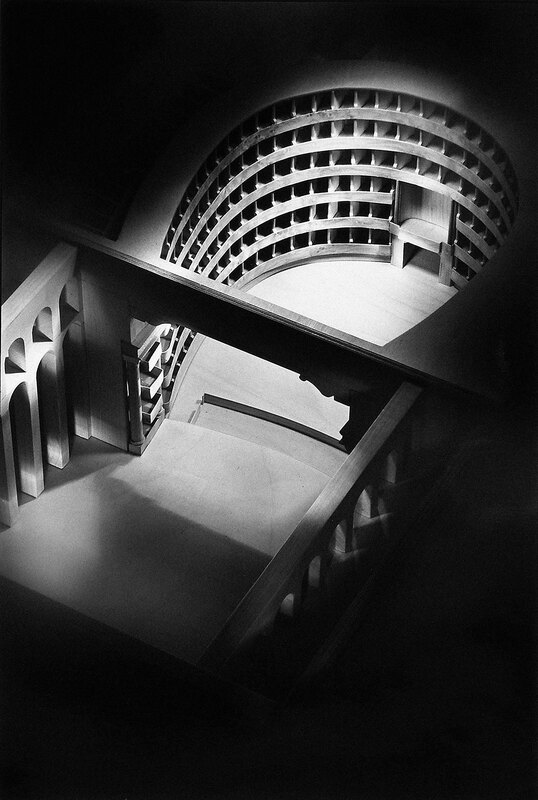 This photography is based on an architectural model, reconstructed in 1994, which allows a perspective that is impossible in reality: a three-dimensional presentation of the architectural plans by its designer Giuseppe Piermarini. A perfect view of the auditorium. The audience and the singers are greeting the special guest in the central royal box; that evening, it was the German Emperor. There are hundreds of festivals in Europe, but rarely a cross-section of the European scene is presented. One of the very few festivals that have made this their task is “euro-scene” in Leipzig, Germany. Founded in 1991, it focuses on experimental theatre and innovative dance. Already during the 17th and 18th century, the Galli Bibiena family designed theatres in many cities in Europe. They also created fantastic stage sets, e.g. 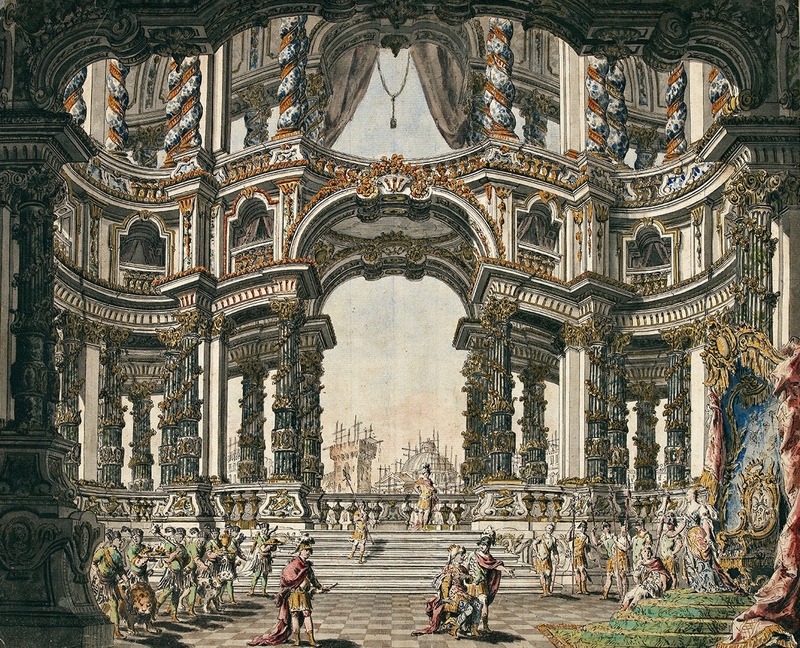 Giuseppe Galli Bibiena for the opera “Didone abbandonata”, 1752. Actors could also become international stars, despite the language barrier. An example is the French actress Sarah Bernhardt (1844–1923), lovingly remembered even in a comic book a hundred years later. 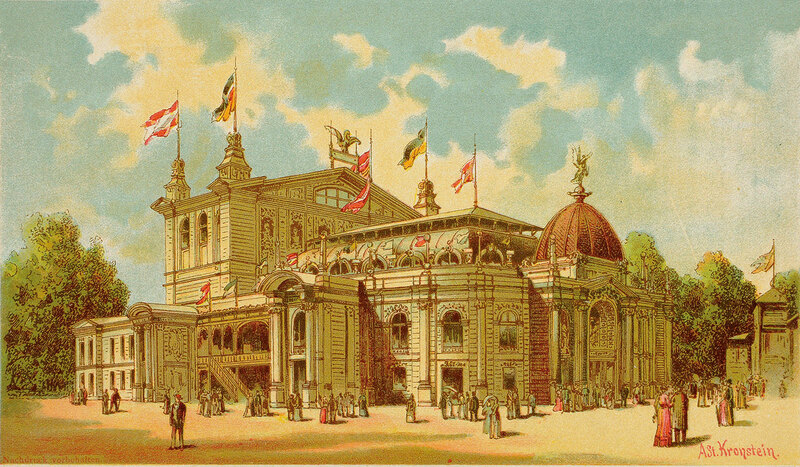 Fairs and exhibitions also help ideas and people to cross borders, like the International Theatre Fair in Vienna, 1892. But the most successful immigrants were Italian opera and the Italian opera house, a design that dominated theatre architecture in Europe until the French revolution. The quintessential opera house is “La Scala”, the Teatro alla Scala in Milan, Italy, inaugurated in 1778. 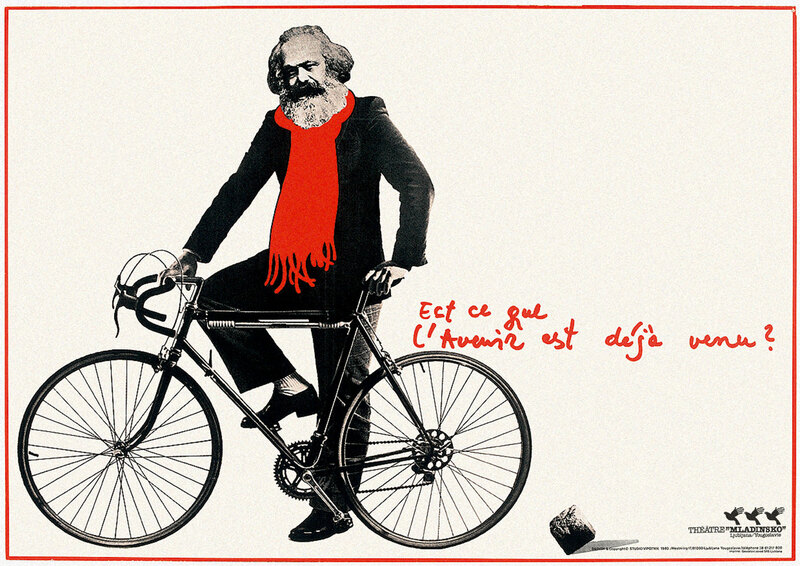 Even during the Cold War, crossing borders was sometimes possible, and thus the Slovenian Youth Theatre went to France in 1983, advertising Marx on a bicycle and cunningly asking “Has the future already arrived?”. Today, theatre productions are invited around Europe and festivals make audiences travel, too. The festival “euro-scene” in Leipzig, Germany, gives an overview of the European scene, which is still a rare undertaking.